A little jewel on Bainbridge Island, Washington servicing customers from Seattle to Portland and surrounding communities. Highly trained professionals who are passionate about our craft, we genuinely care about the individuals who rely on us for their hair care needs. 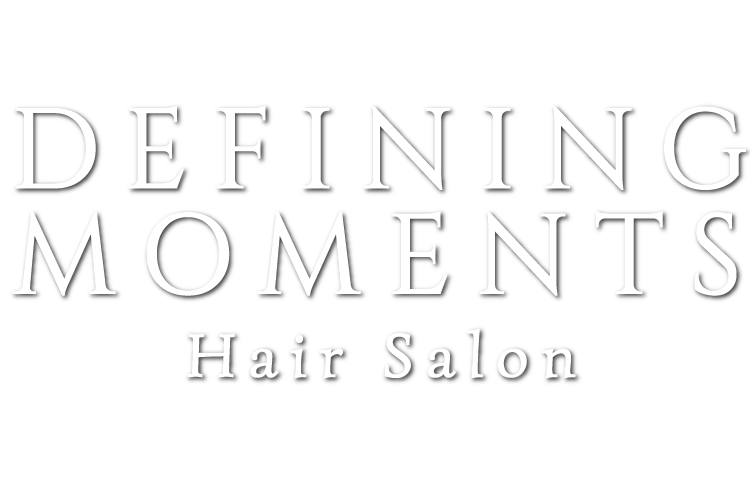 At Defining Moments Hair Salon you will find that our focus is on what we do best: Precision Customized Haircuts, whether short or long, and Exquisite Personalized Color Services, from meticulous foils to subtle glazes. Communication is key to beautiful hair. Therefore, we believe in focusing on the individual, listening to your concerns, and providing tailored solutions to your needs. We offer a calm, peaceful respite where quality, integrity, detail, customer service and customer satisfaction is the norm. You will look forward to your appointments as a chance to unwind and feel pampered. We pride ourselves on staying current with techniques, styles, and services in the beauty world. Our ultimate goal is to help you find a style that works for you. Book today using our online tool below. 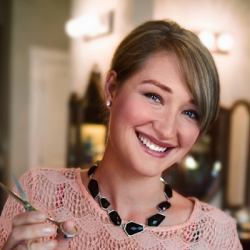 Heather has been working as a stylist in the Seattle area for over 12 years. Heather specializes in color and cutting techniques, creating designs that meet your individual needs. She commits herself to understanding your desired results while preserving the hair’s integrity and quality. While she enjoys all aspects of her craft, her favorite thing is creating natural looking, gorgeous hair color. When she’s not helping people look their best, Heather loves spending time with her husband and two pups. Our artistic and personalized color placement techniques give hair interest, dimension, and texture, and create looks from natural looking to the dramatic. Professional deep conditioning hair color that creates vibrant results and enhances natural beauty or completely transforms. Corrects mistakes from home coloring or other color blunders. This service requires a free consultation before an appointment can be made. Want silky, shiny hair with reduced frizz and curls? Want to reduce your styling time? Want it to last 3-6 months? Then this service is for you! Personalized and customized couture design that will reflect your lifestyle and personality. Luxurious shampoo and finishing style included. Bang trims between haircut appointments are complimentary if booked with same stylist. Deep penetrating professional-grade conditioning for damaged, thirsty, lackluster hair that will appear healthier, shinier, and moisturized. Let us do it for you. Treat yourself to a luxurious shampoo with finishing style. Personalized hairstyling for those special evenings out and those important Defining Moments of life. Having trouble styling your hair at home? Come in for some one-on-one, personalized training. Bring in products you are already using or let us introduce you to the lines we carry. We’ll show you how to use your styling products and give you tips on styling. A quality haircut properly styled can make any man feel more attractive and put-together. A color service for men that gives more tonality to the hair, thus giving your appearance a more youthful lift. Get the best of both worlds: Grooming and style, along with a subtle appearance rejuvenation. Great service! Heather pays close attention to details and her cuts and colors are always great! I recently got a keratin smoothing done and she did it carefully and it turned out great. We searched high and low to bring you product without sulfates and other harsh chemicals, product that we felt we could stand behind. After much searching and testing, we’re excited to introduce our clients to the R.A.W. 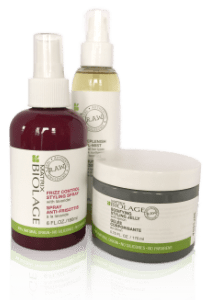 line by Biolage and Amika’s line of hair care and styling products. These two lines offer everything we were looking for, we know you’ll love them as much as we do. The R.A.W. line is designed to nourish, recover and uplift your hair, naturally. Free from sulfates & silicones, R.A.W. instead features lots of wholesome ingredients like coconut oil, honey, quinoa husk, goji berry, coriander oil, black sesame, grapefruit, and kaolin clay. This has quickly become our go-to line for washing and conditioning. We also really love the replenishing oil and styling jelly! Amika offers a fantastic range of shampoos, conditioners and easy to use styling products. Free from sulfates, Phthalates and artificial colors, Amika instead adds a nourishing super-fruit, Sea Buckthorn Berry, to all of their products. The heat defense serum, “Wizard” primer and “Plus Size” perfect body mousse are some of our all time favorite stying products. You’ll love the yummy scents and colorful bottles! Ask Heather which of our new products your hair would love the next time you’re in.